When Persona 4 Dancing All Night was first announced with a slew of Persona games such as Persona 5, Persona Q and Persona 4 Arena Ultimax, you could be forgiven for thinking that Persona 4 Dancing All Night was the most bizarre edition to the series of the bunch. But as Persona 4 Arena has proven, the Persona 4 series can do anything, even when venturing out of it's usual JRPG territory. Persona 4 Dancing All Night is a legitimate rhythm game, with some seriously good rhythm game mechanics, a killer soundtrack and meaty story that the Persona series is known and admired for. Even for those who have never ventured into the rhythm game genre, the exciting story and the quality of gameplay that the series is known for all contribute towards a fun, new experience for the Persona 4 franchise. Persona 4 Dancing All Night is predominately a rhythm game, with most of the game's features (other than story mode) being related to the rhythm game portion of the experience. The rhythm game incorporates three buttons from the D-Pad and three of the shape buttons to hit the notes and you can use the joysticks to get bonus points for swiping when rings get larger on the screen, unless of course you opt to use the touch screen instead. The touch screen can feel extremely satisfying and kind of like dancing with fingers, but in the end the D-Pad seemed to be better at providing the precision needed to clear some of the harder difficulties. What I loved about each of the songs was how well the gameplay used the screen - there's always a button of the other side (both top or bottom) of the screen and there's always a scratch to hit between beats, no matter what difficulty. I found myself constantly preparing for the next note, which kept me on my toes and completely immersed in each song. 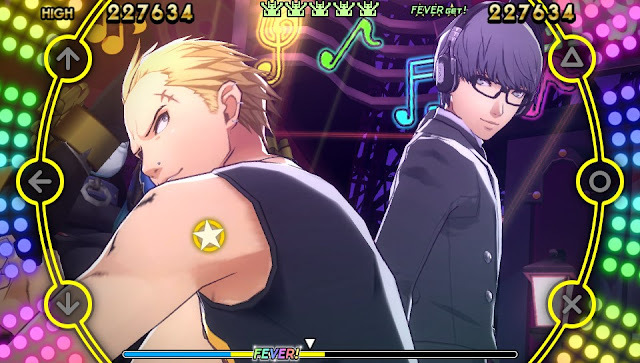 There are four difficulties in Persona 4 Dancing All Night, ranging from the 'my first dance game' Easy mode to the unlockable, highly involved All Night mode for up for a serious challenge. While most rhythm games score a song as cleared or unclear based on the overall score, Persona 4 Dancing All Night scores on consistency instead. This means you can get a perfect score throughout the whole song, but if you lose your rhythm during just one section of the song, you can still lose. On top of this harsher grading system, you can only clear a song by being in the two highest health statuses (green or rainbow), with three other health statuses meaning you don't clear the song (white, yellow and red), meaning there is technically more of a chance of losing each song than winning. This might sound like a really harsh grading system, but it reminded me of arcade rhythm games with the way it encouraged me to want to master each song instead of just clearing it. Clearing a song unlocks more songs the first time playing through, plus gives you in-game money to spend on the cool and hilarious costume and accessories options, along with items to make songs easier or even harder if you want even more of a challenge, offering many insane and diverse ways to play. Thanks to all of the different modes, DLC (which I couldn't try on the Australian PSN store unfortunately) and trying to win with different debuff items, there's always a new challenge waiting around the corner. Apart from the great gameplay, there are many small reasons to love the dance portion of Persona 4 Dancing All Night. 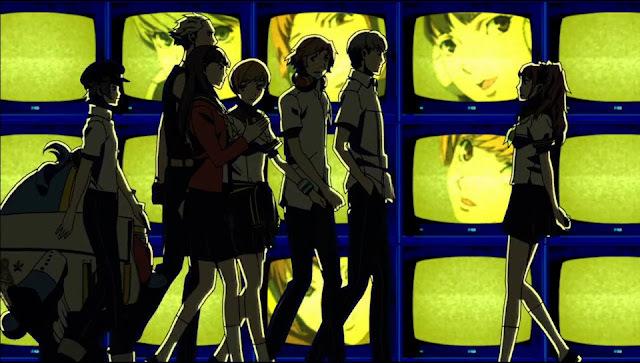 If you've played Persona 4 Golden, along with recognising the tracks from the game, you'll notice how the Persona character's songs and the way they dance relate closely to their personalities. For example, Yukiko dances with grace and to songs such as the one that played during winter in Persona 4, which matches her graceful but sometimes cold demeanour. In contrast, Chie's dances incorporate all those kung-fu moves she loves to practice on top of appropriately high energy music. This kind of attention to detail is what the Persona series is known for and as a fan, I really appreciated that even in a rhythm-focused game, the characters were the still same one's I'd fallen in love with in Persona 4 Golden. And of course, the killer soundtrack from all of the Persona 4 games (including Persona 4, Arena and Persona Q) shines with during the rhythm game, coupled with cool new takes on the familiar music in the form of remixes that often completely change the feel of each song, but in the best way. Rock, Jazz, Pop and Dance music are the main genres featured in the game, so there's something for almost everyone to enjoy. Each song is fun and catchy and has given me plenty of reason to regret not buying the soundtrack edition of the game (previews of a few of the songs are now available to listen to on AtlusUSA's Youtube channel and I highly recommend doing so if you're trying to decide between the standard or soundtrack edition of the game). For those importing the game and with a low or no level Japanese ability, the story naturally will be the hardest thing to digest as it is in visual novel form, meaning the game relies on text and only a few key cutscenes and photos to tell it's story. Like the Persona 4 Arena games, the story is divided into chapters and incorporates the Dance gameplay at random intervals where shadows appear in the story. Admittedly, the Japanese was a little too difficult for me to fully capture the intricacies of the story that Persona is known for, but I can say that even skipping through the story, I was able to grasp that the game subject matter features the journey towards accepting one's true self (a Persona series staple) and all characters, new and old, that appear in the game will play an active role in solving the mystery at hand. If you can't wait for the rhythm game part of the game, Persona 4 Dancing All Night is worth importing. The menus are easy enough to navigate as they are mostly in English and I managed to skip through the story to unlock the extra rhythm game features without many hurdles. If you're importing Persona 4 Dancing All Night for the story only because you can't wait any longer for the September 29th release date (or later in some regions), unless you have some serious Japanese chops, I would recommend waiting for the translated version because of how lengthy the story is and Atlus' tendency to give a detailed story. I'm the kind of person who wouldn't want to miss a single detail of the story so if you're the same, waiting one month of the game will probably be worth it to enjoy the game to it's highest potential. 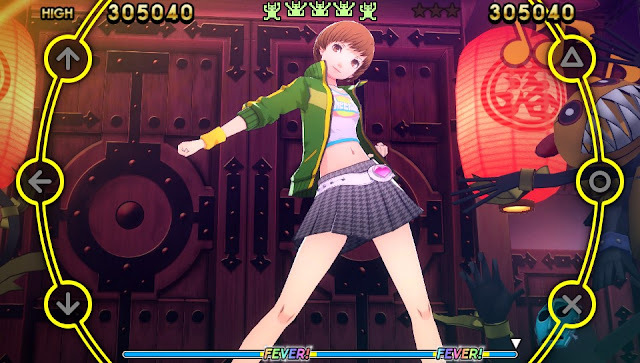 For fans of rhythm games and the Persona series, Persona 4 Dancing All Night is an absolute treat. The characters are portrayed well with the lovable personalities that Persona fans have come to love, both on and off the dance floor. The rhythm game portion sets a new high standard for rhythm games and I love the unique scoring system that gave a more involved gameplay experience that kept me on my toes (and thumbs) for over 30 hours and I never got bored of both the remixed and familiar versions of the Persona 4 series' soundtrack. In imported form, fans can experience the gameplay early but if you're in it just for the story, you may as well wait until the end of September. 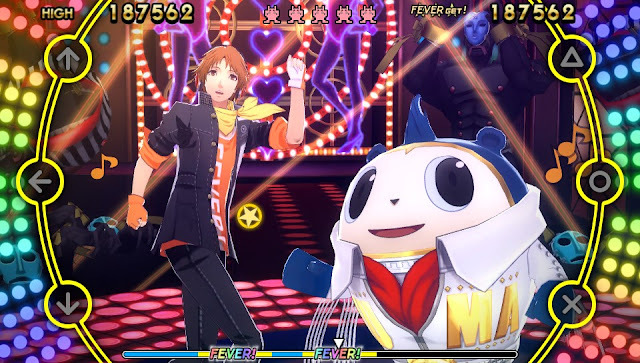 Whether you buy it now or not, Persona 4 Dancing All Night isn't just a rhythm game - it's earned it's right of passage as a legitimate addition to the Persona 4 series and a serious addition to the rhythm game genre. Whether you can wait for the end of September or not, you can buy the Japanese edition or pre-order the US edition (in English of course) at Play-Asia. Will you import or wait for Persona 4 Dancing All Night? What's you opinion on dancing bear suits? Comment below or send a tweet to @JRPGJungle and let me know! Feel to follow if you want to keep up the content posted here. Thanks a bunch for stopping by! Note: This article does contain an affiliate link that helps to support this site. You can read our Affiliate Link Policy here.